Europe's only event bringing together over 6,500 travel professionals and 250 exhibitors from global brands and start up. The comprehensive conference program features more than 100 industry experts and is suited to all knowledge levels and covers the full spectrum of travel management. 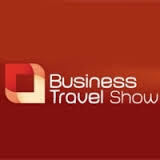 In conjunction with Travelsavers Global Network (TWIN), EQ Travel will be exhibiting at this years show on stand B852. Franc Jeffrey, CEO of EQ Travel commented on attending the show " The EQ Travel Team are excited to be part of the Business Travel Show 2015,. Its always a great networking event and proves to be the most cost effective means of sourcing products, services and information in our industry". Pop along to stand B852 and say hi to the EQ Team. TWIN (TRAVELSAVERS Worldwide Independent Network) is a global travel management company that provides end-to-end travel solutions for corporate clientele of all sizes. Leading travel agencies around the world participate as licensees in our powerful network. Their skilled travel consultants and experienced management team offer clients a wide range of services so that business travelers receive the most efficient and professional travel assistance.